Transform PST to HTML Web files online in a few seconds! Try a PST to HTML Online Converter or get a batch App for faster work! Description PST files are intended for storing mail elements on PCs, which include mail folders and their content. PST stores copies of these elements locally, and they are supported by well-known and common applications, particularly Outlook. Users can get to their emails even when there is no stable IT connection. PSTs can be accessed via whatever version is installed on your PC. Files saved in later versions use Unicode can hold a lot more data than those created in earlier ones, which use ANSI. 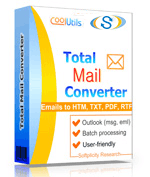 Users who prefer not to use this program may choose to convert messages to other formats and open them in third party utilities.